I see this picture every day not because I live near Eiffel tower but because I have it in my bedroom. This picture inspired me to visit Paris again. We talked about Paris with Yuliya who lives in France and Daniella who is from Italy. 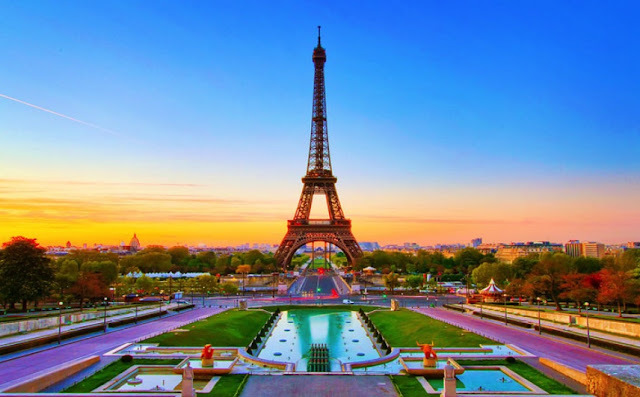 During a short Skype session, we discussed randomly chosen details, impressions of being in Paris. My first experience of being in Paris wasn't comfortable because I was there only one day and it was raining. Next time we had four days. The first day was also raining day and we started our trip from observing Louvre. I was surprised that the painting of the Mona Lisa looks too small. The fact that most of the paintings in Louver are from Italy. It is a little weird because France has also a lot of great painters, but Louver looks as Italian museum. Being on the Bastille plaza I was surprised that I didn't find exactly Bastille tower. I recalled that I read in a history book that this prison was destroyed. We read the text about this topic. "Parisians are like party animals and gourmet". "Who are party animals", Julia asked. I answered that they are probably linked with an exhibition of dogs or cats and ... I was wrong. We talked about nightlife in Paris. People who go to the nightclubs are called party animals. A gourmet is a person who has a very a good testing food, he goes to very expensive restaurants. It makes the audience happy but it was very expensive. There is also an obligation to pay for the drinks inside this club. I stayed in a very lovely small hotel Darcet in the district Montmartre near Moulin Rouge. We read about Coco Chanel. Her last name pronounces with sound "sh" not "ch" as we used to pronounce in English. This sounds the same in France and Italy and in Russia, probably in other countries too. I didn't go up to Eiffel Tower because of a huge queue, we can't afford to stay in this line, we were under Eiffel Tower. 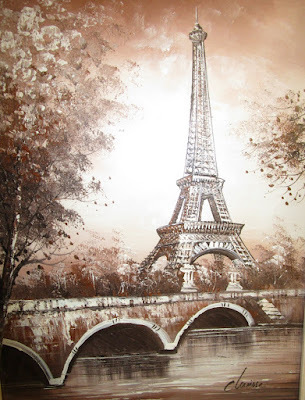 Considering the fact that I have a picture of Eiffel Tower in my home it reminds me unforgettable Paris - every day. We had this conversation in online school albert-learning.com with the teacher Yuliya K who lives in France near Lion together with another student Daniela from Sardinia, Italy.